3 Bedroom apartment with stunning mountain and valley views. Spacious luxury front line apartment with open views of the stunning Rauristal valley towards the Sonnblick glacier and the main Hochalmbahnen lift, (only a 5 minute walk). This first floor apartment offers 3 bedroomed accommodation for up to six people. A well equipped kitchen area with ceramic 4 ringed hob, oven/grill, microwave, dishwasher, fridge with small freezer. Dining for up to six people. Leather 'L' shaped sofa and chair. 40" Samsung Smart wall mounted TV with DVD and CD player and free WiFi access. Large bi-fold doors open on to wrap around balcony with table, chairs and two loungers. The master bedroom with 180cm x 200cm box spring bed with topper and en-suite shower room. Second bedroom with 160cm x 200cm bed and one bunk bedded room. Family bathroom has bath with shower over, toilet and basin and for convenience a combined Miele washing/dryer machine. Reserved underground parking space for 1 vehicle with direct undercover access to apartment. Ski and boot room, (please use these facilities as ski's, boards and boots are not allowed in the apartment, thank you). Free on-site Spa facilities including a 20 meter indoor/outdoor swimming pool, sauna and steam room. Margaret and Stuart Vallis with one son. Margaret and I already knew this area of Salzburgerland and when finding out about the planned development of the Schonblick Mountain Resort immediately visited Rauris. With the opportunity of purchasing this apartment in such a wonderful position with marvellous views we did not hesitate - the rest is history! 2 Bathrooms Both bathrooms have heated towel rails. There is a Miele washer/dryer in the family bathroom. There is also a laundry room available in the resort. Underfloor with individual room thermostats. Beds will be made up ready for your arrival as per booking. Dedicated underground parking bay for one car included with direct covered access to apartment. 'L' shaped sofa, chair, coffee table and occasional table and lighting. A high chair can be supplied. If required please advise when booking. Bicycles are available for hire in the village. Both Mountain and E-Bikes. Communal sun terrace situated on roof of the Spa building. Wide variety of pistes and skiing experiences for every skier and snowboarder. 8-passenger gondola carries you quickly to an elevation of 2,175 m above sea level. Nursery slopes and tuition. Indoor and outdoor tennis courts available to hire in the village. The apartment is not suitable for wheelchair access due to stairs from ground to first floor. Sauna and steam room, (children must be supervised). 20 metre indoor/outdoor pool, (children must be supervised). Rauris is situated within the Hohe Tauern National Park (at 1800 km², the biggest nature sanctuary in the Eastern Alps). With its wealth of treasures the Rauris Valley is often nicknamed the “secret jewel” of the National Park. With its unique cultural and historical past, including gold mining as well as its role as an important trade route, nature highlights such as vultures in Krumltal or the mineralogical treasures of the Tauern Window, lush alpine meadows, imposing glaciers and waterfalls, as well as the natural beauty of Rauris Virgin Forest in Kolm Saigurn and the Rauriser UrQuell in Hüttwinkltal, Rauris Valley truly represents an astonishing world of memorable nature experiences. Winter activities; Ski & Snowboarding, Ski touring, Snow shoeing, Cross country skiing, Ice climbing, Winter hiking, Sledding, Ice skating. For further details please enquire. Summer activities; Walking, Hiking and mountaineering, Biking, Alpine huts, Gold panning, White water rafting, Horse riding. This is the 2nd time that we stayed in the same apartment and cannot recommend it more highly. Location is perfect, standard is high and just right for a family or friends. To make it even better the owners are great and always happy to help or communicate quickly. This will not be the last time that we are here or in Rauris! Thank you for your feedback. We look forward to welcoming you back to Rauris in the future. Johanna 3 is ideally located at the front of the Schonblick Mountain Resort overlooking both the main Hochalm gondola lift and the Rauristal valley towards the Sonnblick Glacier. Immediately in front of the apartment, across a small track which during the summer cows, (with bells!) use on their way to and from milking, is a pasture used for grazing during the summer and the start of the langlaufing trail during the winter. 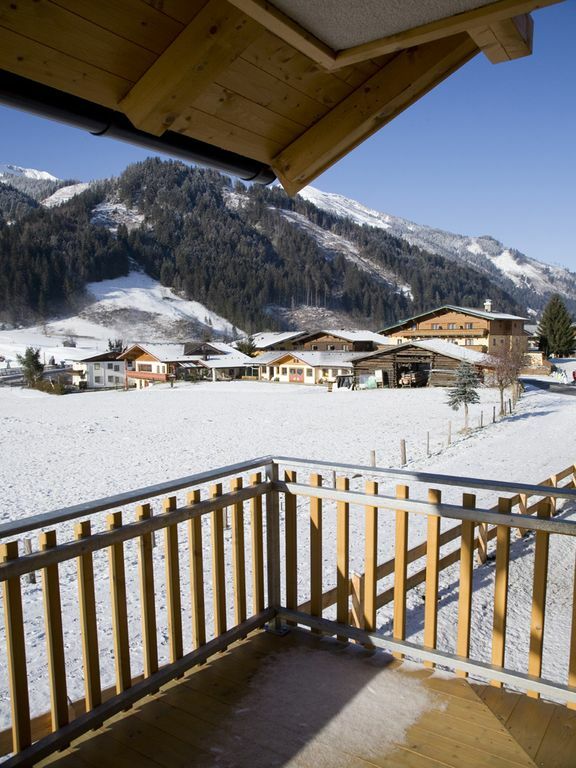 The apartment is a short walk from the centre of the beautiful village of Rauris where there is a good selection of shops, restaurants and bars. Many other outdoor activities are available and can be arranged to suit your specific requirements.